With most boaters looking for a better battery, this encourages battery manufacturers to keep trying to impress and build a better battery. This is where a dual purpose marine battery comes in. It makes people question, yet again, whether it is the best style for their boating adventures. 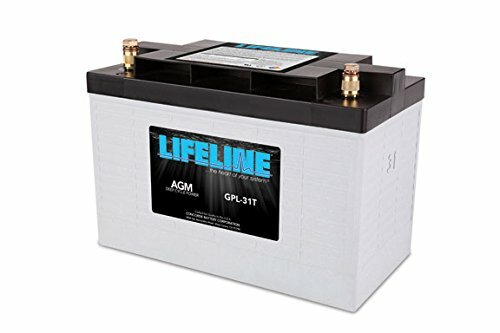 What is a Dual Purpose Marine Battery? 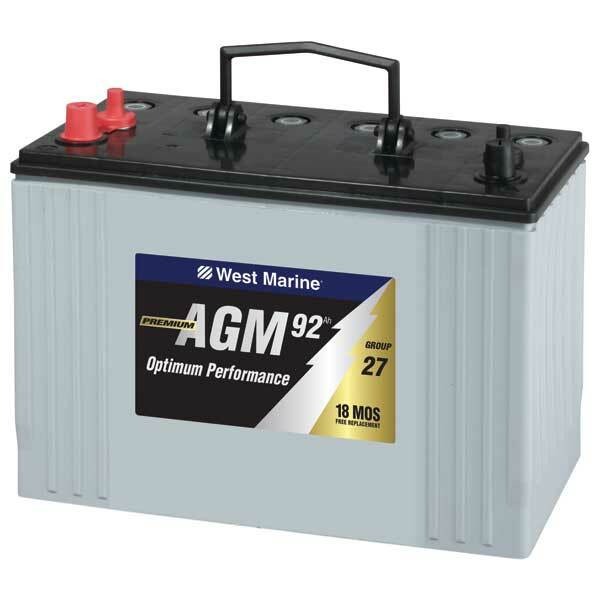 Dual purpose marine batteries are batteries that have thick plates inside of them. This means that they contain more antimony than your regular starting batteries. They can tolerate deeper discharges than most batteries which also means that you can use it for a longer period of time without having to worry that your battery will be damaged by its charge level dropping below 50%. They can also be used in a variety of situations. They can be used in your boat when you need them there and in your truck when the boat comes out of the water. This sometimes makes it more usable for some boaters who enjoy having a battery that fits all of their needs. 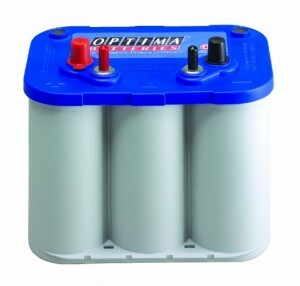 A marine dual purpose battery is a battery that many claims will give you more performance. It is able to handle both the required cranking amps that your boat may need, as well as the ability to maintain a charge while you are out on your boating adventures. If they do fall short because of running lights and other electronics, you still will not have to worry about depleting it and wearing your battery down. 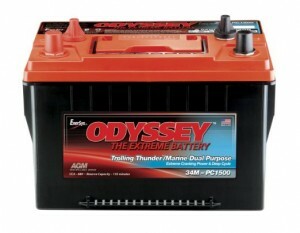 This is a double bonus for many boaters and perhaps why you may consider a battery of this type for yourself. How Do Dual Purposes Compare? 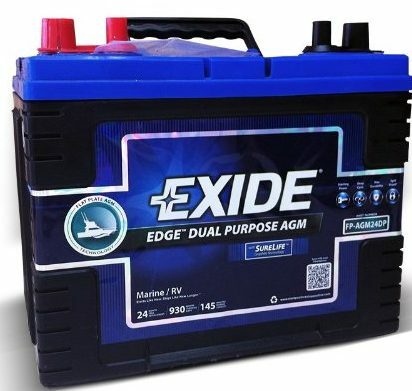 If you are considering a dual purpose battery for your boat and want to know more about what they are able to do for you, you may consider looking at the review for the Exide Edge Flat Plate AGM Sealed Marine Battery, which can be found here. The Exide dual purpose marine battery has 775 cold cranking amps (CCA) and a large 145 minutes of reserve capacity. It is here that you will start to gain an understanding of what features it may offer over other types of batteries including deep cycle marine batteries and regular automotive batteries. 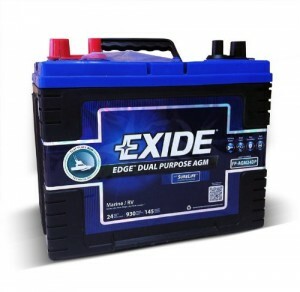 The Exide is one of the most popular dual purpose batteries. 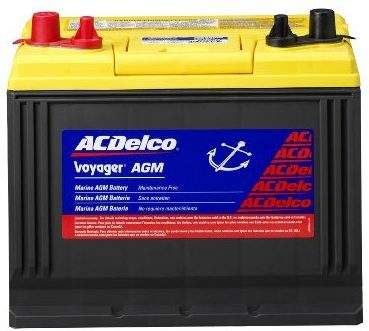 One of the main things you need to know about how automotive batteries differ from this type of marine battery is that a vehicle battery is designed to have a constant power source attached to them. This also means that they offer an outstanding amount of cranking amps and then level off on the power they send out. If your power supply, think alternator, goes out, the battery will run out of juice fairly quick. A dual battery for marine usage, provides both the cranking amps and it is designed to send out a constant power supply without draining too quickly. With deep cycle marine batteries, you have very little amperage to crank up your boat’s motor, but it works for a long period of time regardless of how much pull you have on it. This means that it has a large charge capacity and disperses it out slowly. You can drain it down gradually, without causing it to have major issues later on. If you are still wanting to know more, you can check out the dual purpose marine battery reviews below. This will show you what is available and help you to gain more of an understanding about why people love the idea of an AGM dual purpose marine battery.